Filter is a major resource to the most devoted music listener. As part of my time at Sevnthsin, I was asked to produce and maintain the front-end development, user experience, and user interface design. 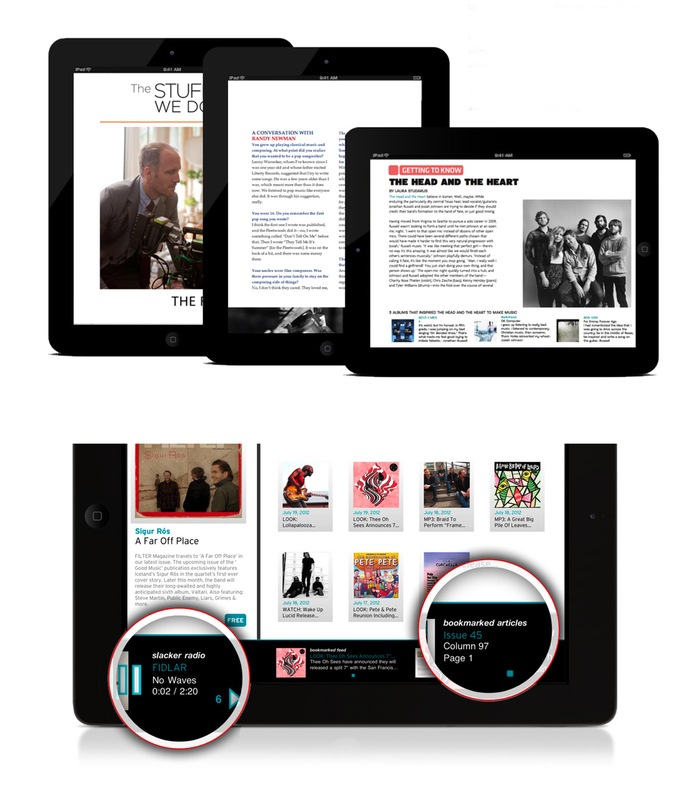 Take a look at the tablet application that we created as part of their monthly magazine issues.